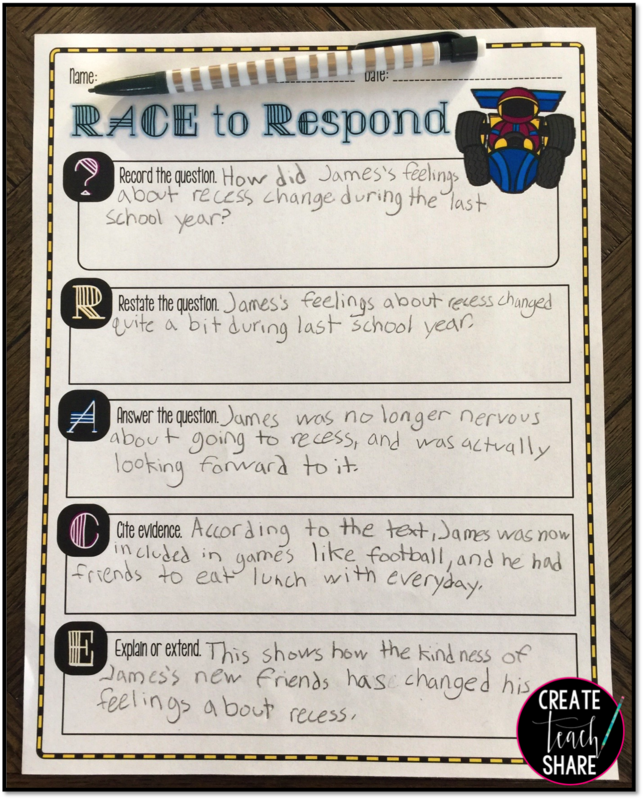 As upper grade teachers, one of our biggest challenges is getting students to write thorough and meaningful responses when answering questions about a text. 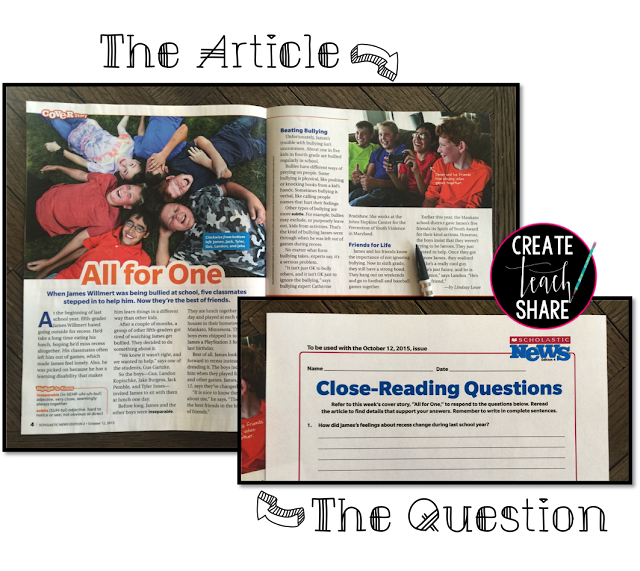 Comprehension questions are meant to encourage students to think about and understand what they have read. We have all seen those responses from students that are answered in one (possibly incomplete) sentence, comprised of maybe five words or so. These lead us to wonder how much students are understanding and thinking about what they read. 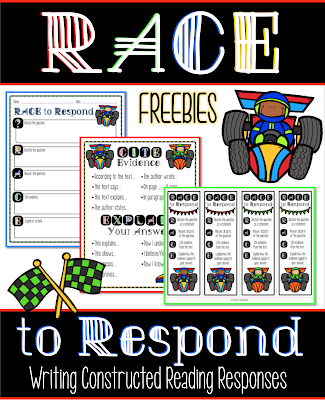 A couple years ago I stumbled across the RACE strategy, which completely changed how I teach students to respond to text. This first step asks students to restate the question in statement form. Often, students can remove the "question" word (who, what, where, why, how) and rewrite the question as a sentence. This first sentence serves as a "topic sentence" for their response. Next, students answer the question. If a question has more than one part, students should be sure to answer all parts. Students should make sure they understand exactly what is being asked, and provide a clear answer to each question. 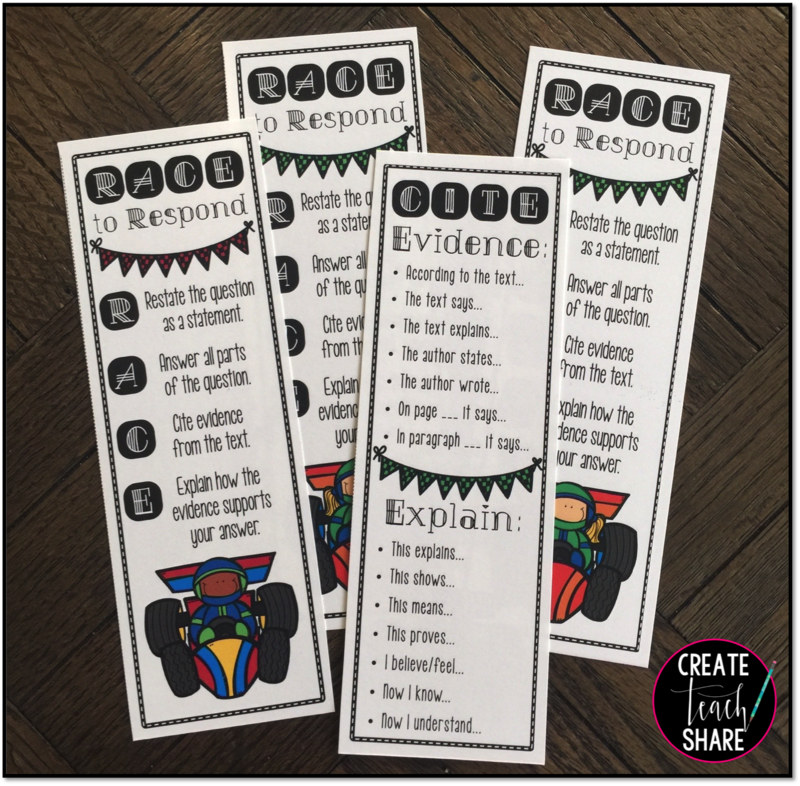 Students then need to find evidence from the text that helps support their answers. It helps to go through the text with a highlighter, to specifically look for "proof" that supports how they answered the question. Providing Sentence Starters for students, helps them to transition easily from their answer to the evidence they provide. Some examples include "The text says..." or "The author states..."
Finally, students conclude their responses by explaining their thinking, and making connections between their answer and the evidence they found. Again, sentence starters can be a big help when transitioning into this final sentence: "This shows..." or "Now I understand..." are great ways for students to conclude their responses. This FREEBIE includes a graphic organizer to use with students when teaching and guiding them through writing a constructed response. It also includes a list of sentence starters to use to CITE and EXPLAIN!! Finally, double-sided bookmarks are provided for students to reference when writing constructed responses on their own. 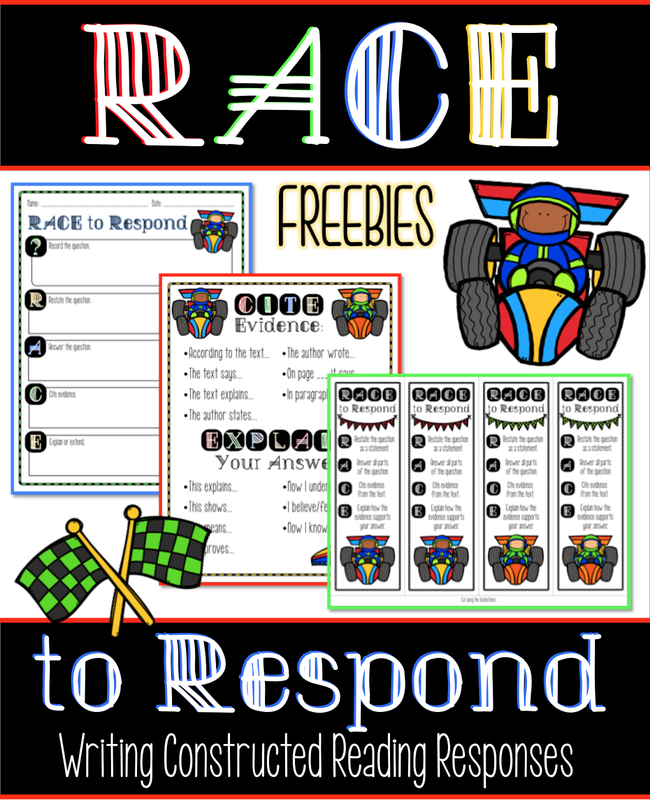 All printables are available in color and black & white. 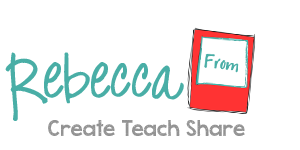 I hope that you and your students will enjoy this strategy and tools as much my students and I do!! 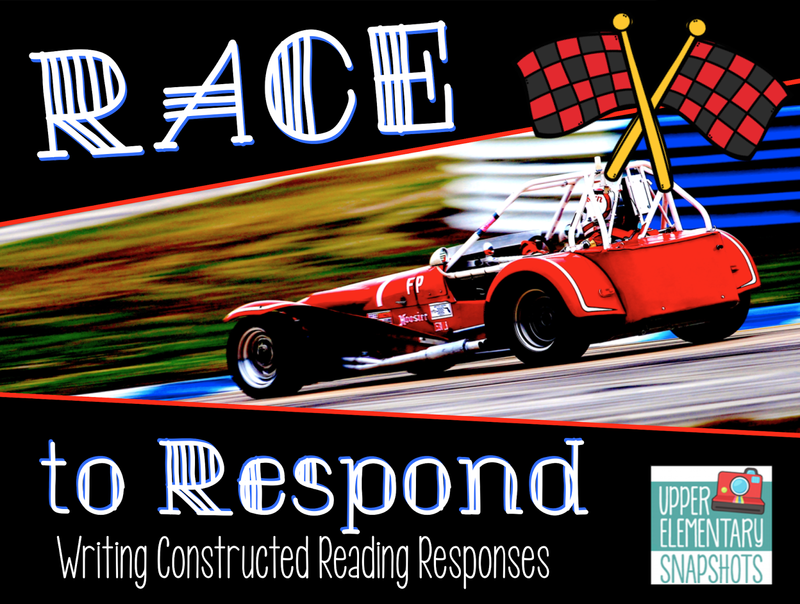 I would also love to hear what you do in your own classroom to encourage students to write meaningful reading responses! !